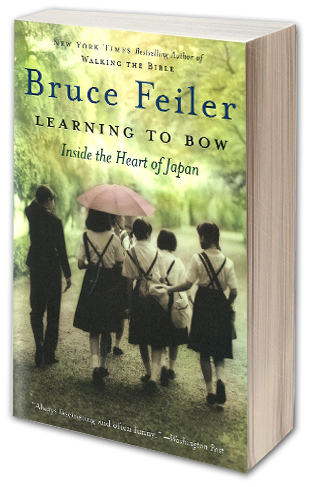 LEARNING TO BOW has been heralded as one of the funniest, liveliest, and most insightful books ever written about the clash of cultures between America and Japan. With warmth and candor, Bruce Feiler recounts the year he spent as a teacher in a small rural town. Beginning with a ritual outdoor bath and culminating in an all-night trek to the top of Mt. Fuji, Feiler teaches his students about American culture, while they teach him everything from how to properly address an envelope to how to date a Japanese girl.